Luciphage the Starbreaker is the adult-form of a Sun Eater. 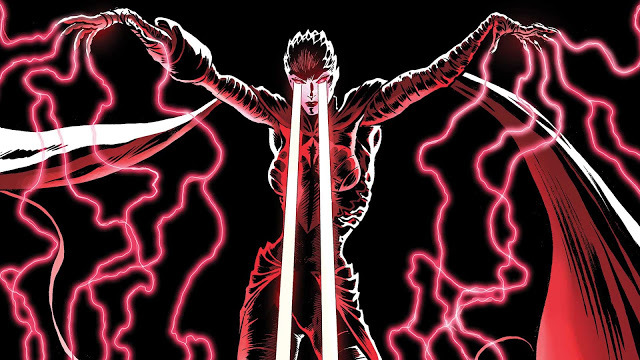 He is a powerful energy vampire who made his first appearance in Justice League of America #96. His daughter is Countess Belzebeth of the Blackstars. The Green Lantern issue 2 was released on December 5 and, much like the first issue, has been met with wide critical acclaim. The story is packed with nods to DC history and little nuggets suggesting a larger mystery is unfolding in the background. Once again, I’ve attempted to dive deep into the ink to puzzle out and annotate the many references Liam Sharp and Grant Morrison have packed into the issue. If something previously appeared in the deep dive for The Green Lantern #1 I’ll refer you to that post for the meat, but will add any second issue specific comments below. If something is new it’ll receive the full annotated The Green Lantern treatment.